When we talk about floors, it is almost impossible to mention all the different types that are used throughout a building. Also, various materials are currently available for creating these decks. If we begin to list the combinations of floors and walls that can be made out of these elements the list would be endless. However, in this ideabook, we will show you some interesting one. These combinations will allow you to get attention and can be incorporated during your next home renovation. 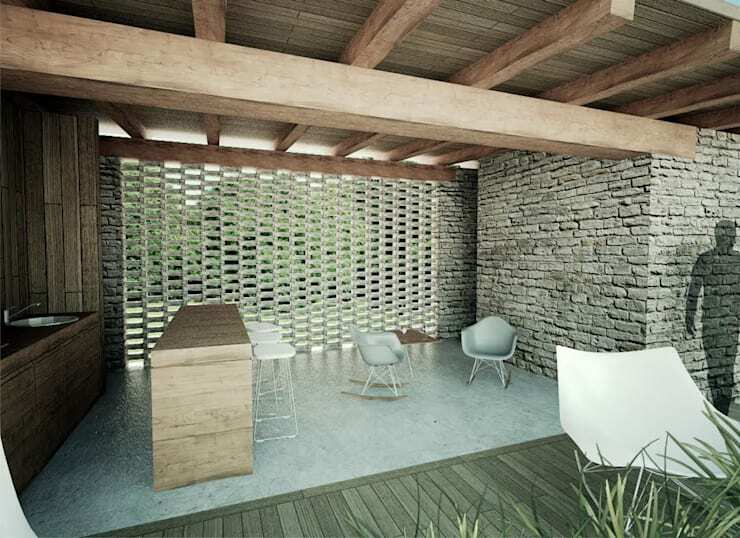 Here the flat cement floor has been combined with a very elaborate fence made of two types of stones. These stones have different colors or textures, and they rest on the wooden slats. This kind of barrier has a very elaborate design. 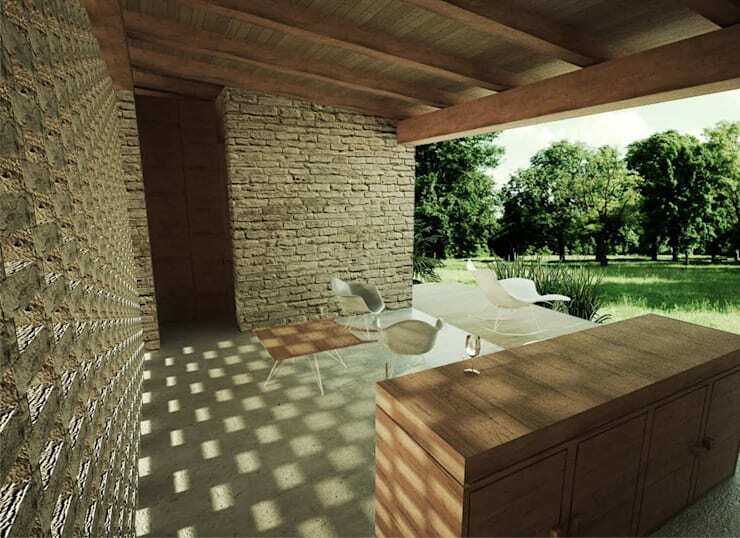 The wood holding a rustic stone wall gives consistency to the enclosure. A smooth wall was painted in strong matte color so that it combines perfectly with the rustic stone floor. Also, the greenery from the creeping plants makes this ground a bit softer. It is rustic yet slightly rounded at the same time. On this terrace stones of large rustic format create an impressive wall that stands out spectacularly on the wooden floor. It is mainly due to the small proportion of the terrace, with glass doors. Also, the plants lighten the tone of this wall with a sharp contrast. The stone of this floor has been worked to form small and orderly modules. Whereas the fence that has been built with recovered wood. 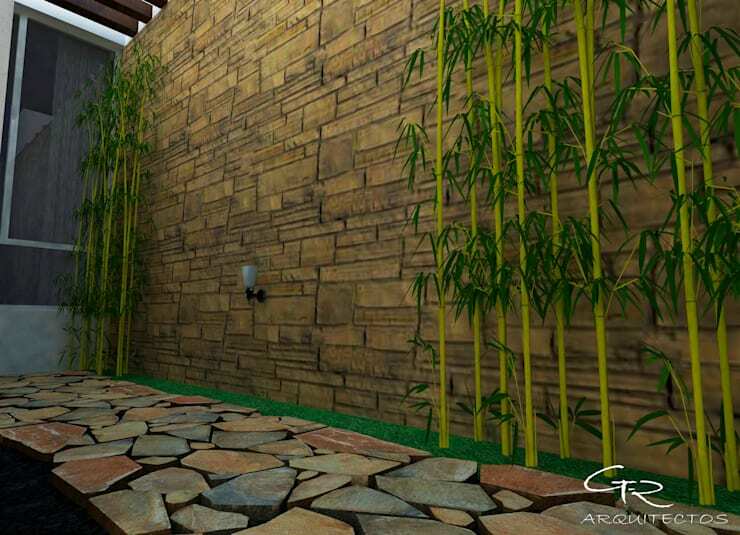 The rustic appearance of these elements gives a fascinating design detail to the patio. 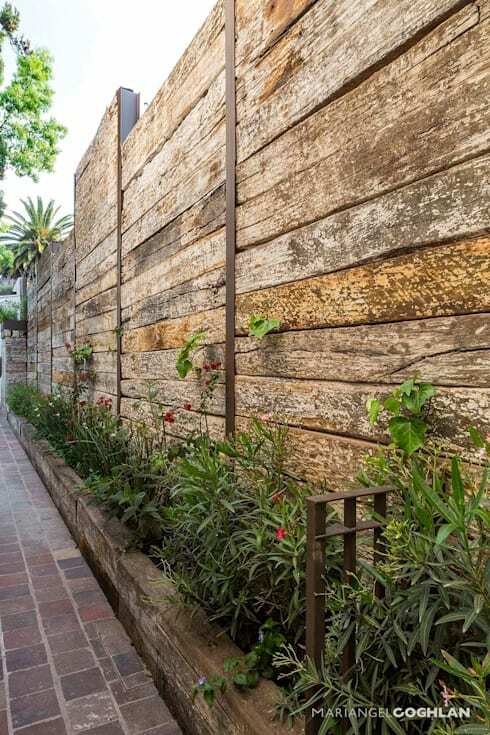 Some plants have been incorporated between the boards that form the fence, to create a natural look. 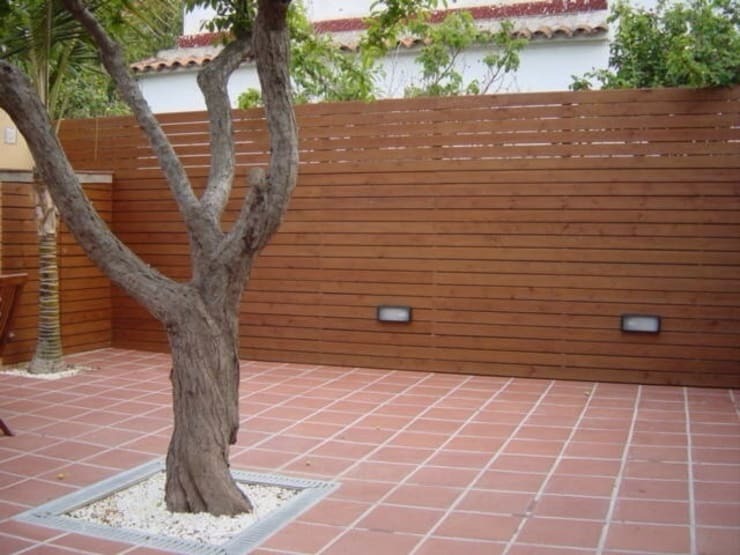 When you want to create a patio then using a combination of matte finish clay tiles and a wooden fence can be a great idea. In the floor, each tile has been slightly separated so that they can be marked with cement which connects these elements. Around the tree, a boundary of cement defines its area. It has been filled with white pebbles so that the soil does not splash around while watering the tree. The wood is like a lattice almost closed in thin horizontal slats. The vertical ones are left behind so as not to interrupt the horizontality of the enclosure. 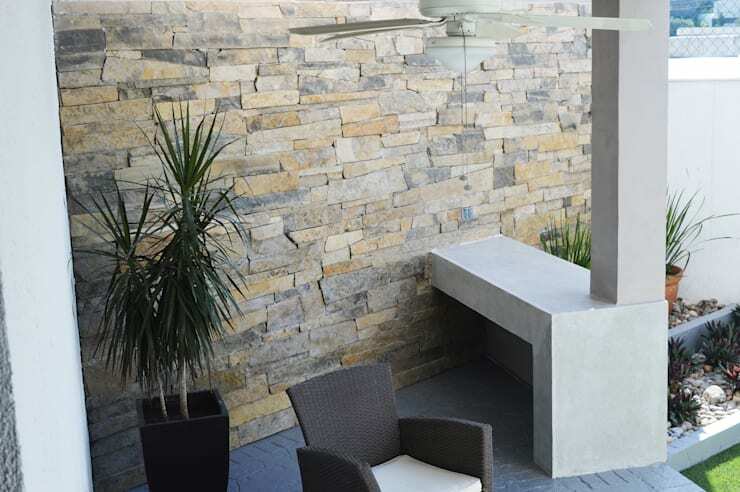 Combining stones of different types, sizes, colors, and textures will allow you to create a unique look for your patio or terrace. This space looks elegant, despite the rusticity of the materials. 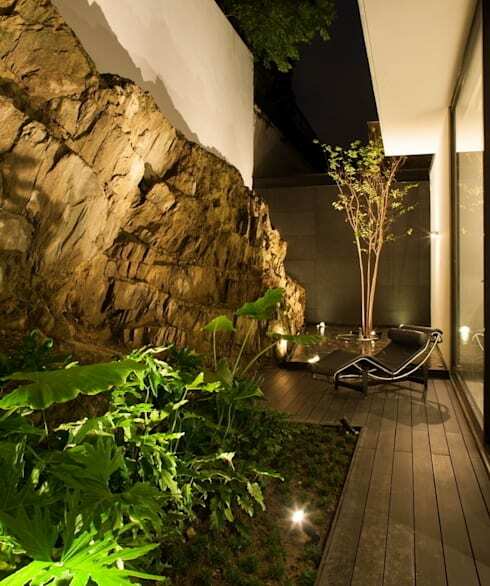 But it is achieved by the combination of the colors, smooth finish of the stones, and the plants placed within the area. 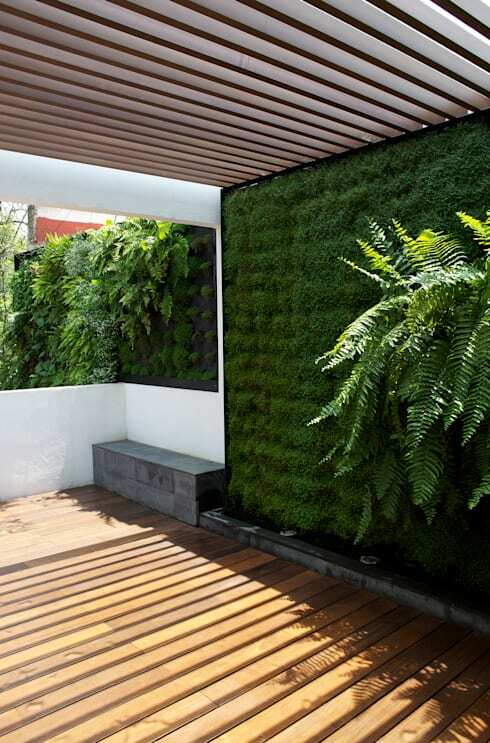 On the terrace, a green wall with sufficient lighting can combine very well with a wooden deck. 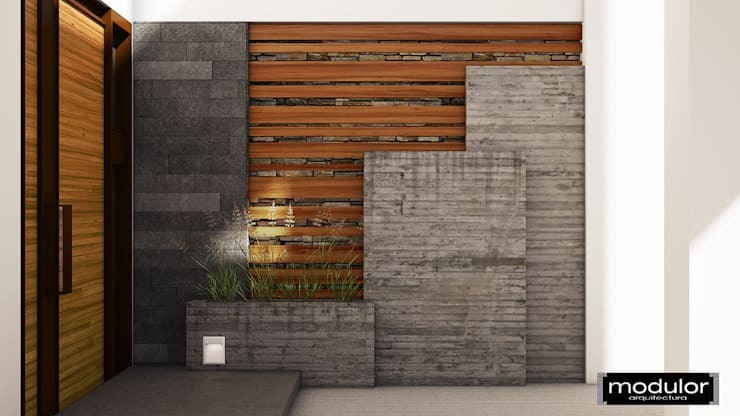 Areas incorporated with these materials can be the perfect choice for your next terrace or fence. 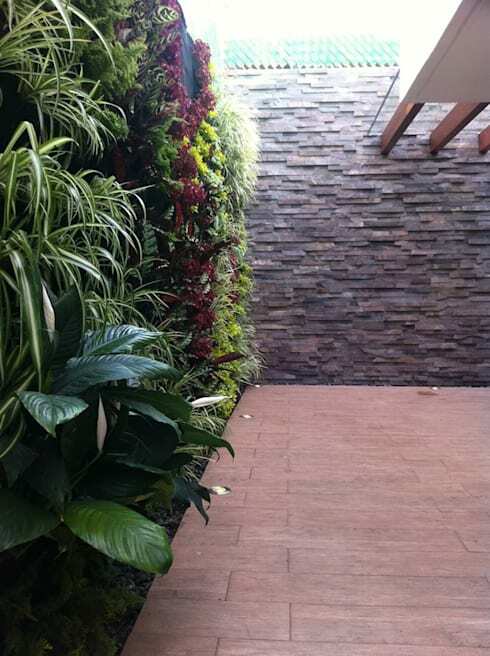 A green wall is the most lively option that is also low maintenance. In this well-designed space, the materials have been chosen with great care. Also, its layout has a lasting impression. Here the fence is made of clay bricks of different dimensions whereas a very elaborate design has been selected for the stone floor. The concentric circles in gray stone, have been created for adding the little trees. The same stone with the exact format and placement has been used for the floor as well as the fence that encloses the area. Gray is the prevailing tone in this space which creates harmony. 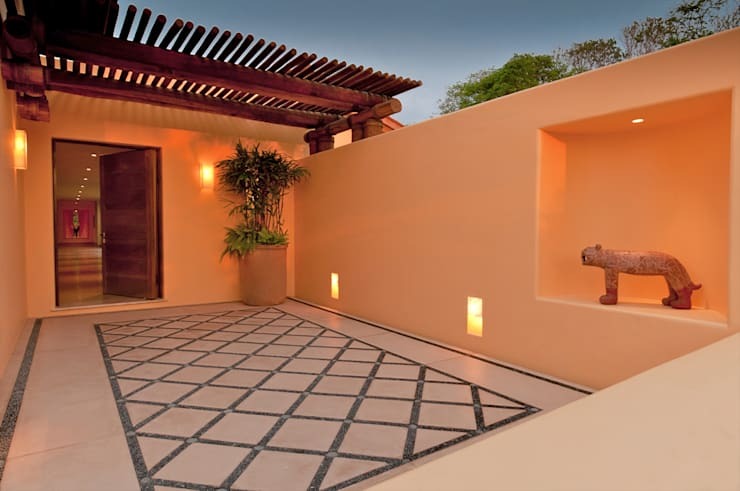 If the walls that make up the fence of your house are painted similarly then choosing stone floor forming a square with its joints is an excellent idea. You can also opt for ceramic pieces to create a unique design which is praised by every one. This picture showcases a very high fence made with stones. 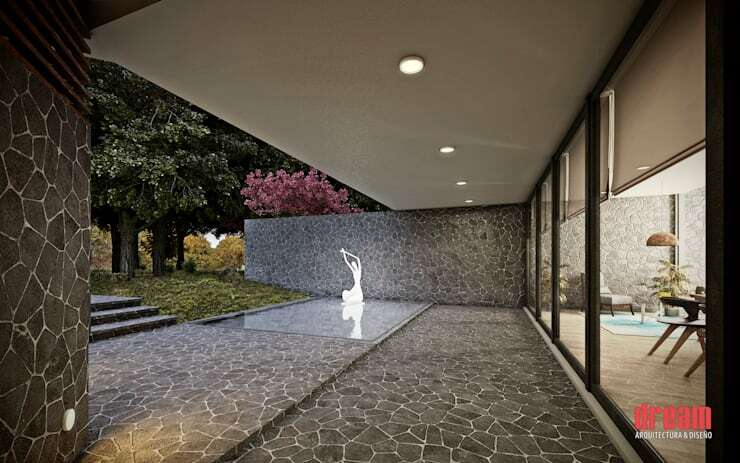 For the floors of this courtyard stones of gray color in different sizes have been used. They make a perfect combination with the plants incorporated in the area. 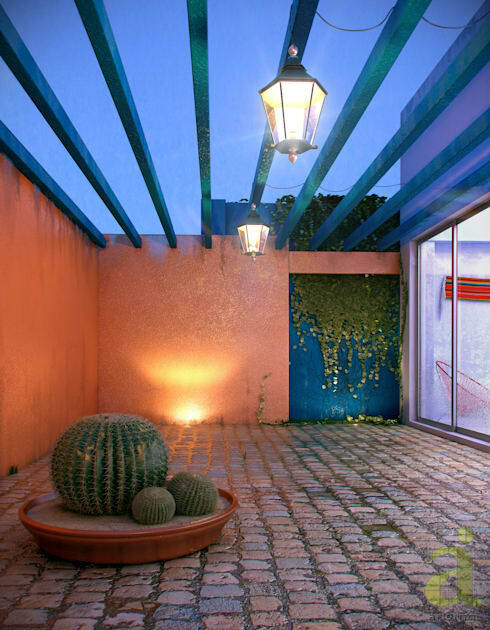 Those green points, of the plants, give an additional interest to the design of this patio. Here you can see a smooth wooden floor that has been polished discreetly with a matte varnish. The strips placed all along the floor receive a beautiful contrast due to the white encirclement. It reflects amplitude, simplicity, and order. 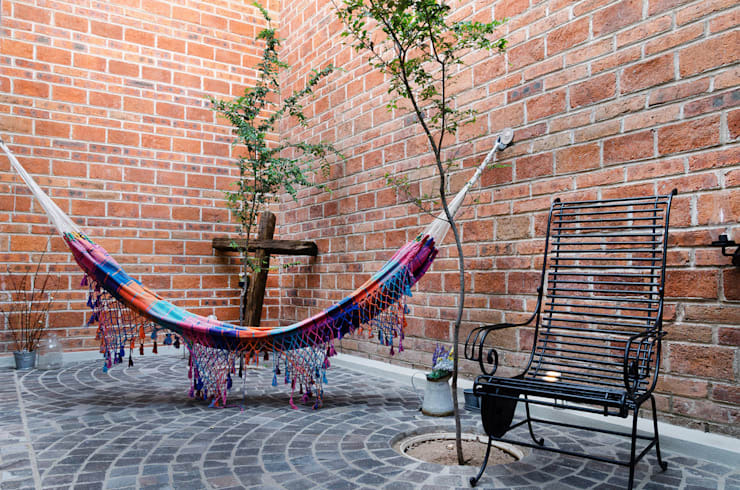 The patio can also be decorated with some colorful furniture. The fence of this courtyard with its irregularly placed stones looks very rustic. Also, its sensation is enlarged by the dramatic illumination at night. The floor made of wood and stone is a design that completes this open space. The wall that forms the fence in this space is of stone. Here various neutral tones have been to create an excellent combination with the wooden floor. The gray color of the floor is a design detail that allows it to have furniture of similar tones. If you want a unique effect between the floor that you place and the fence that surrounds your terrace then this combination is a must. It indicates a smooth ground made of cement and a wall constructed with pieces of ceramic that allow a lot of transparency. By placing the blocks on top of each other, a transparent wall is formed. 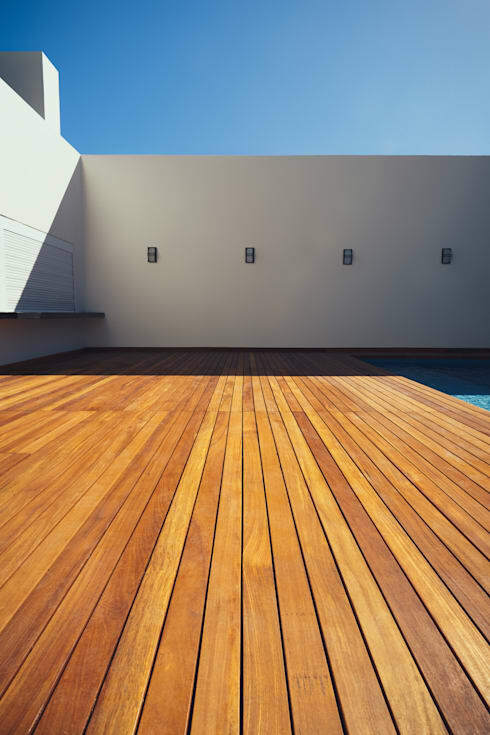 The flat floor in this design is transformed into a deck drawn by the sun and shadows. It also makes up the fence of your terrace. 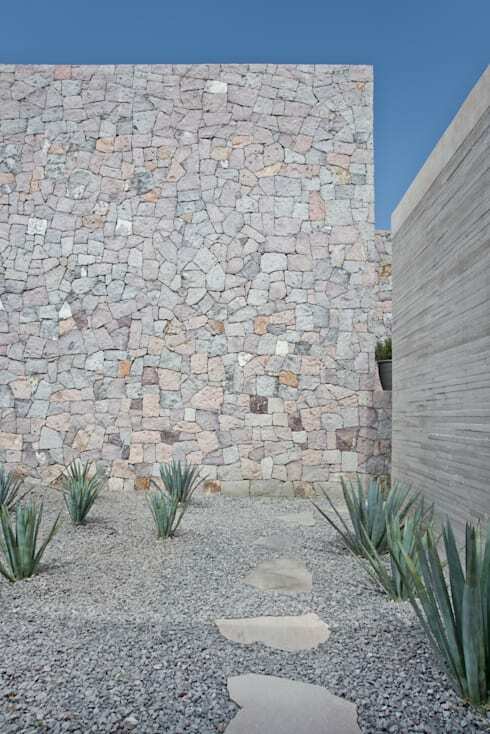 Clay and stone are natural elements that can be placed next to each other. On carefully looking we notice that the colors of both materials are not the same. However, they still look in perfect harmony. Also, in this case, the green wall helps the combination to look great.